The BBC today announces two brand new Natural History programmes for BBC One and BBC Two with Sir David Attenborough for 2016: a special one-off interview with David to mark his 90th birthday next year, presented by Kirsty Young; and a programme looking at the enchanting world of bioluminescence. Tom McDonald, Head of Commissioning, Natural History and Special Factual Formats, says: “2015 has been an outstanding year for Natural History on the BBC. Big Blue Live achieved a number of world firsts, including the very first live broadcast of a blue whale, while landmark series The Hunt on BBC One is currently astounding over five million viewers each week. The Watches are going from strength to strength, and series such as Japan, Pets: Wild At Heart, Shark and Alaska: Earth’s Frozen Kingdom have brought new audiences to our Natural History content; and we have much more to come next year with our innovative migration series The Great Race, and our blue chip landmark series, One Planet. Naturalist Sir David Attenborough has been synonymous with Natural History programming since the early 1950s and is recognised as one of the world’s leading broadcasters. In this one-hour special, produced by the Natural History Unit, broadcaster Kirsty Young will talk to David about his career, the inspiring people he has met, the extraordinary journeys he has made, and the incredible animal encounters he has had across the globe. Recorded in front of a studio audience, the programme will celebrate David’s invaluable contribution to our understanding of the natural world, and to the development of television broadcasting, in a career that has spanned seven decades. He and Kirsty will be joined by film makers, zoologists, conservationists, biologists, anthropologists as well as pioneers from the world of broadcasting. Highlighting some of the most unforgettable moments from David’s career, Kirsty will ask about what they mean to David, from capturing unique animal behaviour for the first time and uncovering critical conservation stories, to the fast-paced advancement in filming technology over recent decades. Inspiring Attenborough: Sir David At 90 (1x60) is executive produced by Mike Gunton for the BBC’s Natural History Unit. 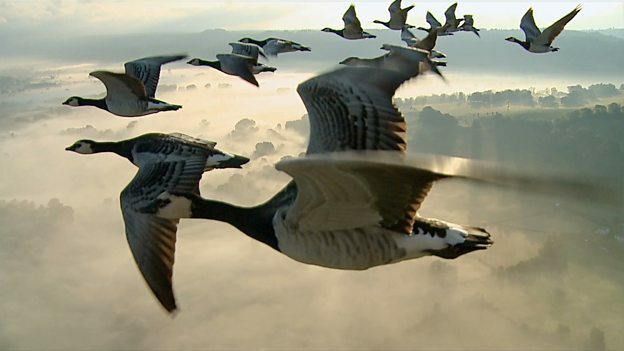 It was commissioned by Charlotte Moore, Controller of BBC One, and Tom McDonald, Head of Commissioning, Natural History and Special Factual Formats. The spectacular and magical light produced by glow worms, fire flies and luminous plankton is what most of us know as bioluminescence - light made by living things. But those familiar glows and flashes are just a tiny, easily observed fragment of a previously unexplored, mysterious realm. Sir David Attenborough will be our guide as we venture into a world he describes as "utterly unlike our own". He and a team of the world’s leading scientists take the viewer on a quest into the realm of living light. For centuries, we could only marvel at the beauty and the mystery of bioluminescence, but now for the first time, we reveal the amazing truth about living lights. Thanks to three crucial breakthroughs - brand new colour cameras over 4,000 times more sensitive than a decade ago; specially designed cameras built by Ammonite Films; and scientists with a new generation of deep sea submersibles and robots - we can show bioluminescence in a way that has previously been 'invisible' until now. During the film, we discover that bioluminescence is everywhere: in the soil, on the land and throughout the oceans - even in our houses. Astonishingly, the ability to make light may be the norm, not the exception. Using a combination of scientific experiments, voyages of discovery, blue chip natural history, and David Attenborough’s unique story-telling, this film will reveal the true magical glory of bioluminescence. At this halfway stage in the production, amazing sequences filmed for the first time include the bioluminescent millipede glowing on the forest floor; the bioluminescence of a living dragon fish; the mesmerising flashing light patterns of the synchronous firefly in real time; and the spooky glow of the lantern shark's belly. Light On Earth (1x60’) was commissioned by Kim Shillinglaw, Controller of BBC Two, and Tom McDonald, Head of Commissioning, Natural History and Special Factual Formats. It is executive produced by Ivo Filatsch and Sabine Holzer for Terra Mater Factual Studios of Austria and directed by Martin Dohrn, Joe Loncraine and Paul Reddish for Ammonite Films.